The month of January is School Board Appreciation Month in Colorado, as declared by Governor Hickenlooper. This gives us an opportunity to thank those who volunteer their time to serve on boards of education, guiding school systems toward increased student achievement. At our board meeting last Monday we took the opportunity to honor and thank our board directors Mary Kay Evans, Kristyn Econome, Lloyd Harwood, Shad Johnson, and Larry Oddo for the many hours of work they put into governing our district. On Wednesday evening I was able to observe the work of our district committee assigned to improving our new teacher induction process. I very much appreciate the effort they are putting forth to improve the way we support our new teachers in the Cañon City School District. Finally, on Wednesday evening I enjoyed Family and Consumer Science instructor Deb Crockett’s open house program, during which I sampled gourmet desserts made by her students. I most appreciate that in her class, Deb's students apply many things they learn in other classes in ways which can lead to a career. We are making good progress on the vision we have for our Building Excellent Schools Today grant application. This past week director of facilities Jeff Peterson, director of finance Buddy Lambrecht and I met several times: once to create a list of items on which we still need to research costs, and once to discuss general matters with folks from Nunn Construction. We’ll meet next week with CRP Architects and representatives of the GE Johnson construction company to continue our work. We’ll also attend a BEST Grant webinar this coming week, and will have a phone conference with Anna Fitzer, our CDE Capital Construction regional liaison. We are working extremely hard to complete our application and submit it to CDE before the end of February. 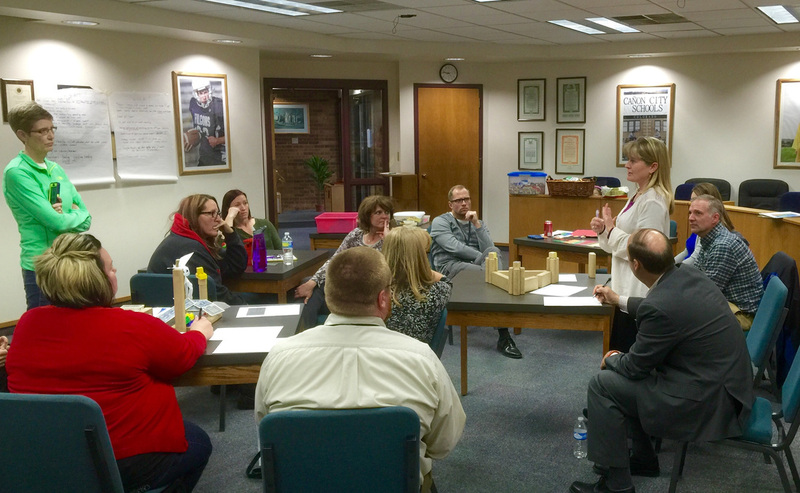 Our District Accountability Committee met last Thursday when we took a close look at CCMS, Harrison, and CCHS data. In looking at CCHS performance we also took a look at ACT and Colorado Department of Higher Education data related to postsecondary learning readiness. As we begin to develop improvement plans for next year we will rely on this information to guide our work. Two hard working McKinley Elementary students were treated to a Limo to Lunch today for being top sellers in the annual school fundraiser. On Monday I traveled to Denver with board vice president Lloyd Harwood to attend a statewide gathering asking the Colorado legislature to focus efforts on restoring funding to education lost through the negative factor. 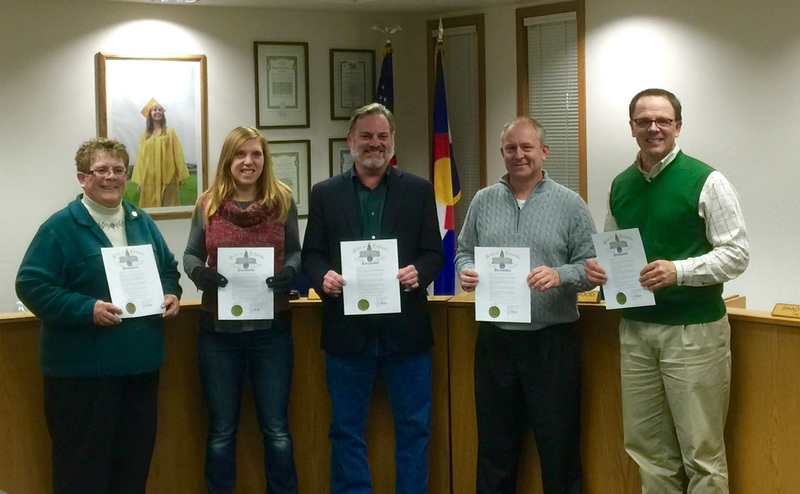 We returned to Cañon in time to participate in a board work session and regular meeting that evening. On Tuesday I attended a weekly superintendent advisory council meeting. That afternoon we held a leadership team meeting as well. On Wednesday morning I met with Cañon City Classified Education Association leaders, and then I presented student achievement data to the McKinley Elementary staff. I conducted in-building office hours at CCMS on Wednesday afternoon, and at CCHS, Harrison and McKinley on Thursday. I attended our January District Accountability Committee meeting on Thursday evening. On Friday I met with board director Shad Johnson, participated in the McKinley Elementary Limo to Lunch event, and conducted a lot of office work. On Monday I’ll meet with area school district representatives to share what we learned through our sexting issue. On Tuesday we have a BEST Grant touching base meeting, and then I will meet with some CCHS student leaders before travelling to the Springs for more salary study committee work. Wednesday brings a monthly DHS 1451 Council meeting. That afternoon I will attend a CES technology committee meeting and then the Cañon 20-20 meeting that evening. On Thursday director of finance Buddy Lambracht and I will attend a BEST Grant webinar, and will meet with architects and builders later that day. On Friday I’ll present on how rural schools can best implement SB 191 style evaluations at a statewide principal leadership workshop in Colorado Springs.